Laurel and I with Renee Kaur. She treated us by doing our makeup! She has SO many cool tricks when it comes to makeup application! 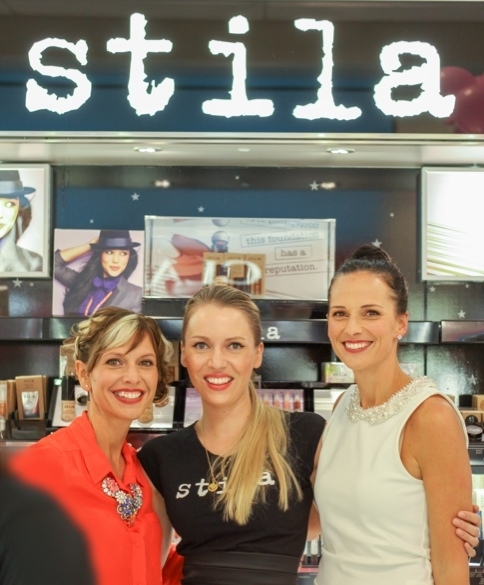 Thanks to all the sisters that came out for our SOLD OUT Ladies Night out at Shoppers Drug Mart with Stila Cosmetics last weekend! We raised $250 for Look Good Feel Better and we sure had a lot of fun doing it! 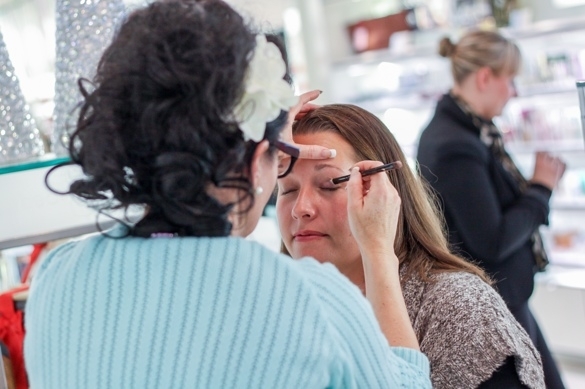 Ladies learned tips from Renee Kaur, Stila makeup artist, who taught a master class. Thanks to our beautiful friend Jocelyn for being the model for Renee’s master class! Everyone gathered around to learn makeup tips from Renee! Our sisters were treated to makeovers, eyebrow threading, hair styling and lots of yummy food! 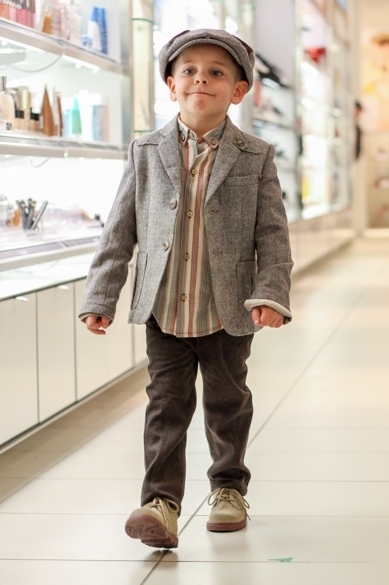 PuddleJumpers Clothing Co. put on a fashion show with a spring 2013 preview of kids’ European fashions. Our girls were thrilled to model for PuddleJumpers! 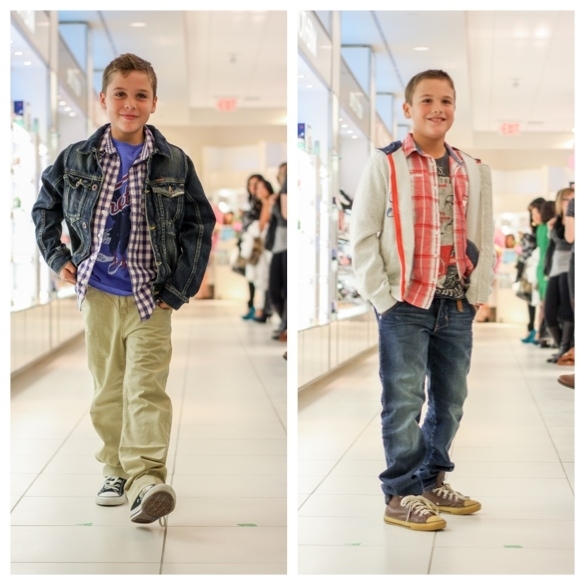 Berkeley modelled two very different looks! PuddleJumpers had our boys looking stylin! Thanks also to our nieces and nephew who participated in the fashion show. They did a fantastic job! Everyone received a gift bag from Shoppers Drug Mart full of beauty products as well as gourmet marshmallows from The Pink Spatula, chocolate ganache works of art from ChocolaTas, and a free appie from Milestones…and we had ten amazing door prizes to give away. There were a lot of happy sisters by the end of the night! 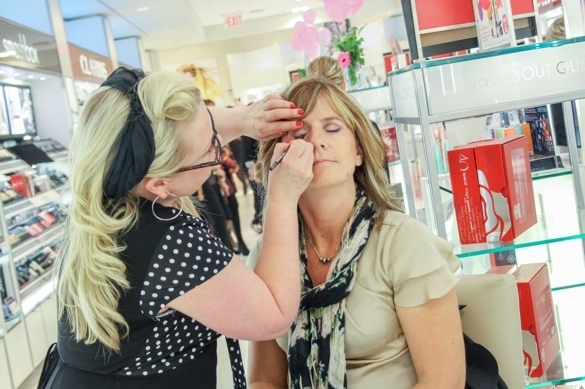 We are already planning for the next Ladies Night out at Shoppers next year! We plan to have a bigger and even better event with each sister being truly pampered! You won’t want to miss out!